FRANKFURT -- Daimler is voluntarily recalling more than 3 million Mercedes-Benz diesel cars in Europe for an update that will reduce their NOx emissions. The company will extend an ongoing upgrade of about 250,000 compact cars and vans to nearly every modern Mercedes diesel on the road. With the recall, Daimler is seeking to head off a growing crisis over potential emissions cheating. If it is accepted by officials, it could help Daimler avoid the massive penalties that beset Volkswagen Group. The steps are being taken to cut pollution of nitrogen oxide emissions, which have been blamed for causing respiratory disease, Daimler said. The recall involves a software patch and avoids complex component fixes. It will cost the automaker about 220 million euros ($255 million). "The public debate about diesel engines is creating uncertainty," CEO Dieter Zetsche said in a statement on Tuesday. "We have therefore decided on additional measures to reassure drivers of diesel cars and to strengthen confidence in diesel technology." The service actions involve no costs for the customers and the implementation of the measures will be starting in the next weeks, Daimler said. The measures to be taken for nearly all EU5 and EU6 vehicles in Europe will be carried out in close cooperation with the German regulatory authorities, the company said. "This is finally a proactive move to put something on the table and a solid attempt at getting out in front of the debate," said Juergen Pieper, a Frankfurt-based analyst with Bankhaus Metzler. Daimler's estimation for the cost of the recall, at about 70 euros per car, is "extraordinarily low" and could rise, he said. Daimler also said it would roll out its new four-cylinder OM 654 diesel engine, first launched in the new E class in 2016, across its entire model portfolio. Diesel-cheating allegations have clouded Daimler for months. German authorities have been scrutinizing the carmaker for possible emissions cheating involving two engines used by Mercedes and Daimler also is the subject of a U.S. probe into allegedly excessive diesel emissions. German lawmakers last week summoned Mercedes executives to question them about emissions. At the time the carmaker agreed with the Transport Ministry to undergo another round of emissions tests. In May, 23 prosecutors and around 230 staff, including police and state criminal authorities, searched Daimler sites in Germany following allegations of false advertising and the possible manipulation of exhaust gas treatment systems. Unlike Volkswagen, which admitted it deceived regulators, Daimler says it adhered to regulations that allow vehicles to reduce emissions controls to protect a car's engine. 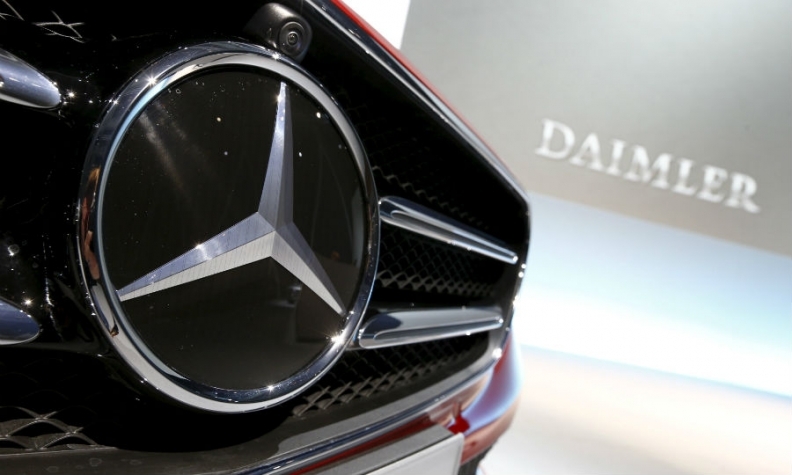 Daimler warned investors in its quarterly report that steps by U.S. authorities to investigate "functionalities," including some which it said were common in diesel vehicles, could lead to significant penalties and vehicle recalls. After VW confessed to deliberate emissions cheating in 2015, the entire auto industry has come under scrutiny in Europe for producing high levels of nitrogen oxide emissions in diesel cars. While demand has declined since the VW crisis erupted in September 2015, diesel still accounts for about half of total passenger car sales in Europe. "The Daimler recall is another punch in the gut to the diesel industry, and an additional black mark in terms of public perception, but the fuel isn't going away," said Michael Harley, group managing editor for Cox Automotive. "Automakers continue to believe in a future with diesel technology." The recall, which will be free for customers, will take several months, according to Daimler spokesman Matthias Brock. The plan extends a service action that began in April last year on compact cars and V-class vans.